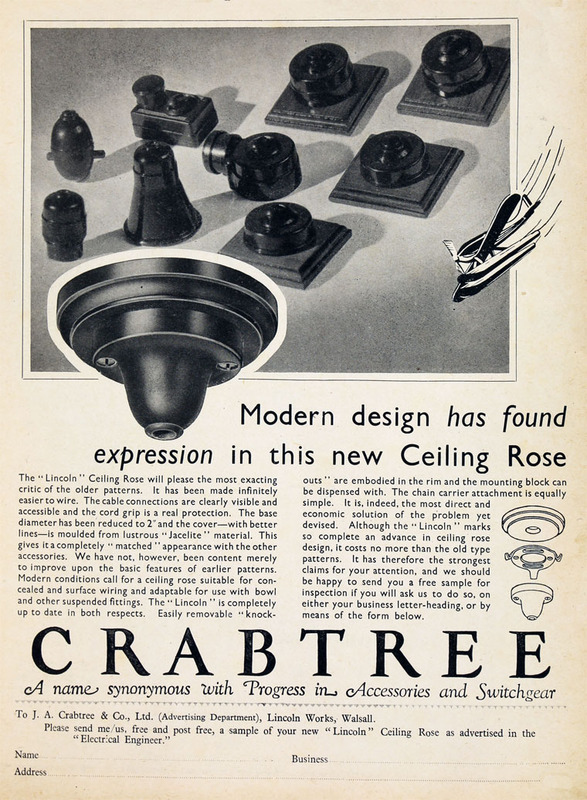 February 1937. 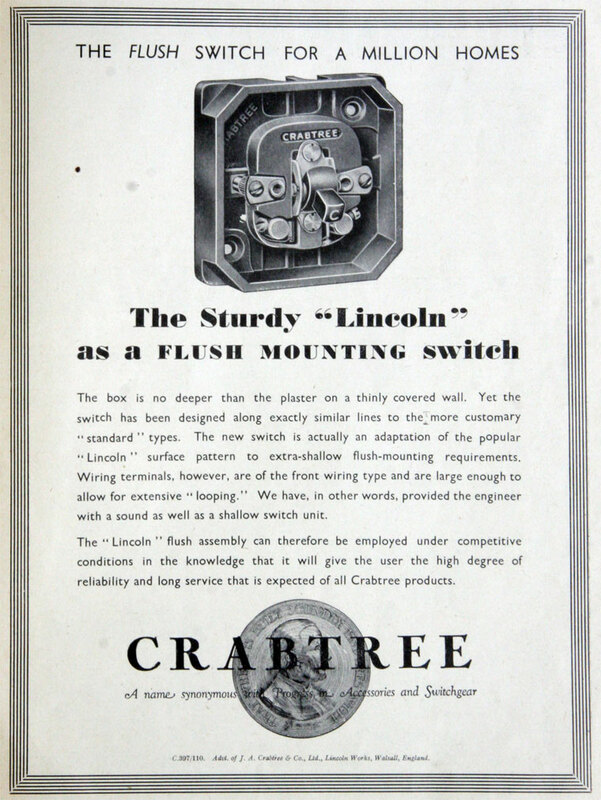 Lincoln flush mounting switch. 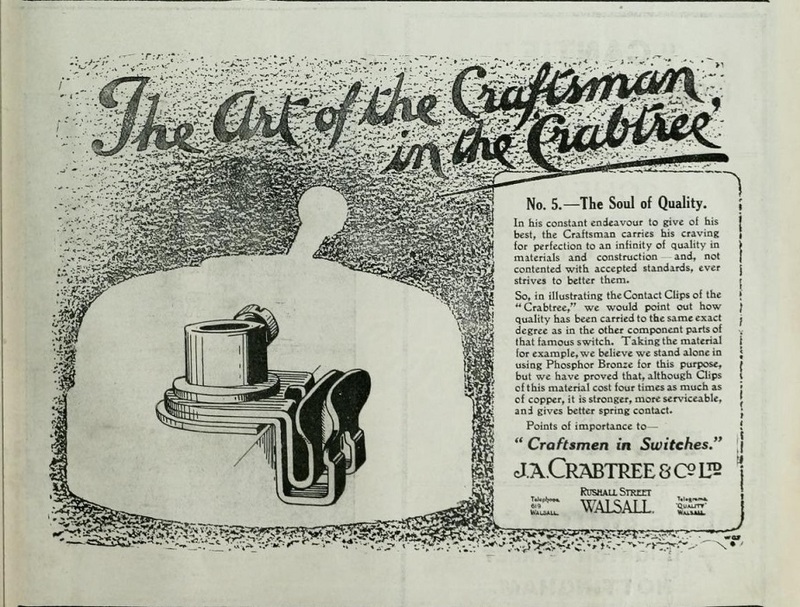 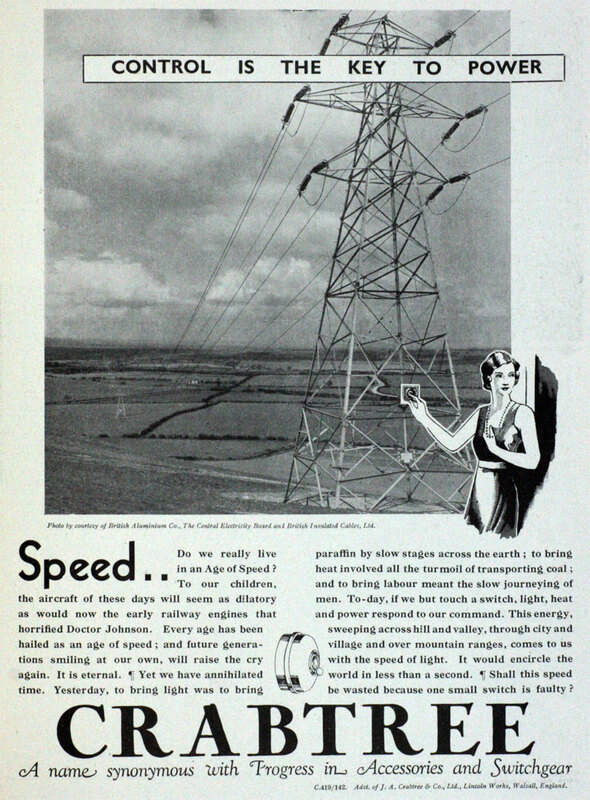 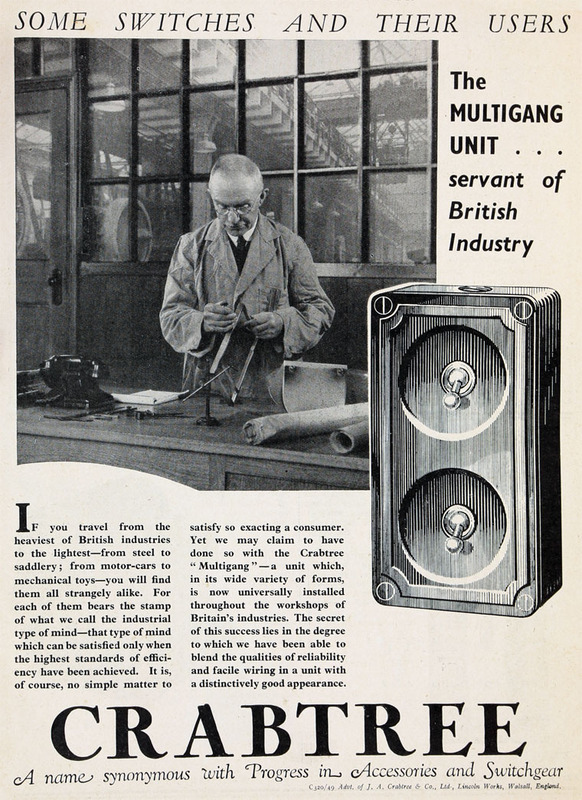 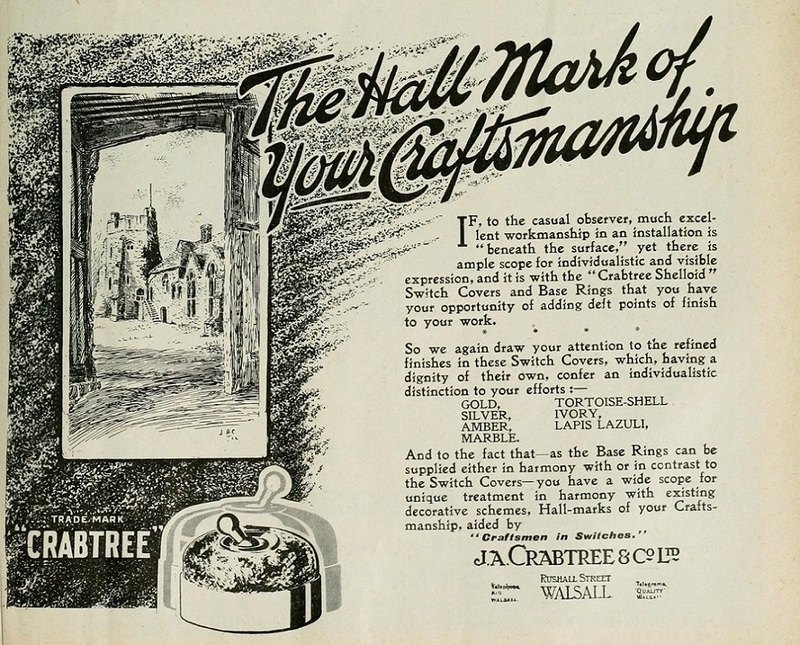 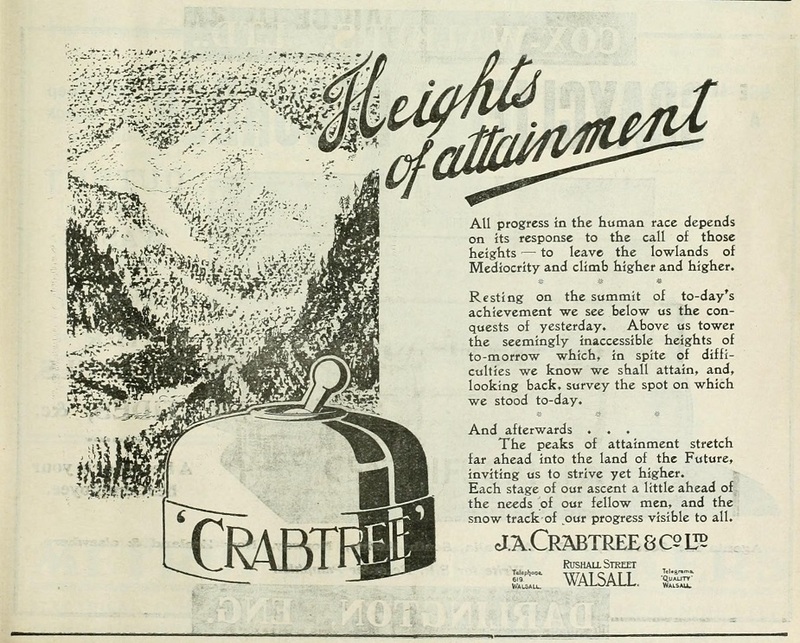 1937 Advert. 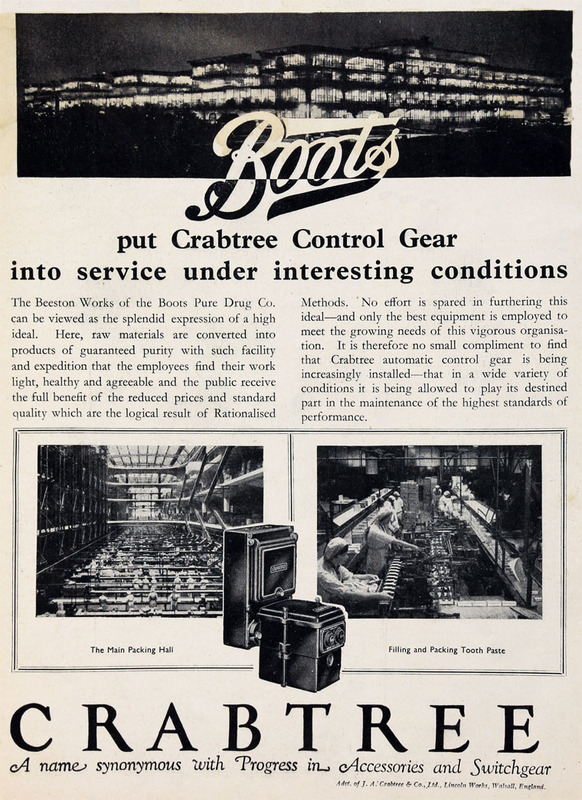 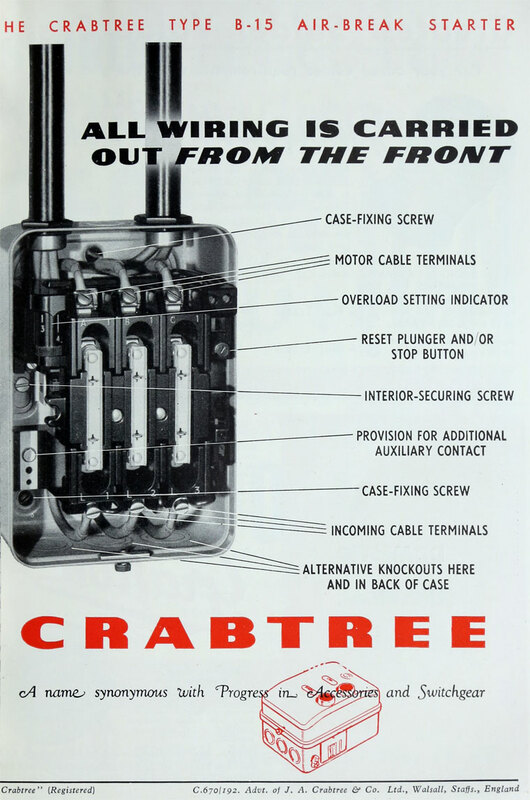 Boots Pure Drug Co used Crabtree control gears in a number of their machines. 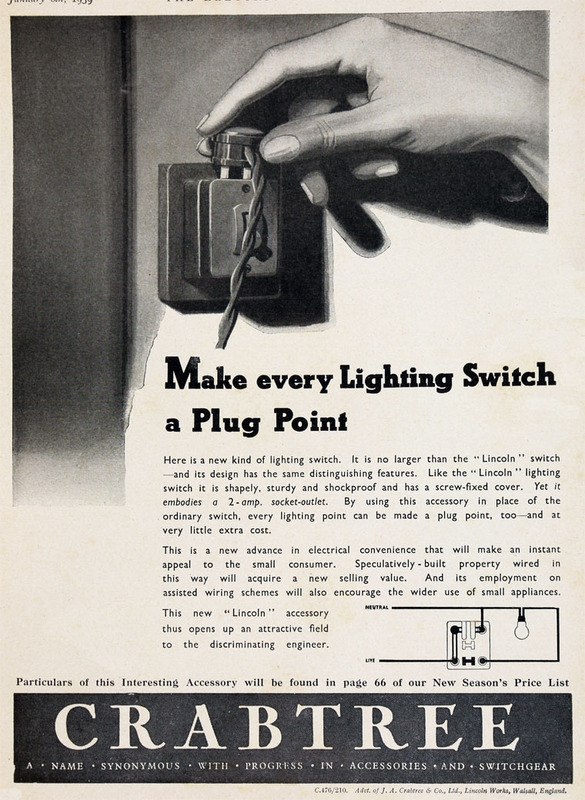 1961 Manufacturers of electrical accessories and switchgears. 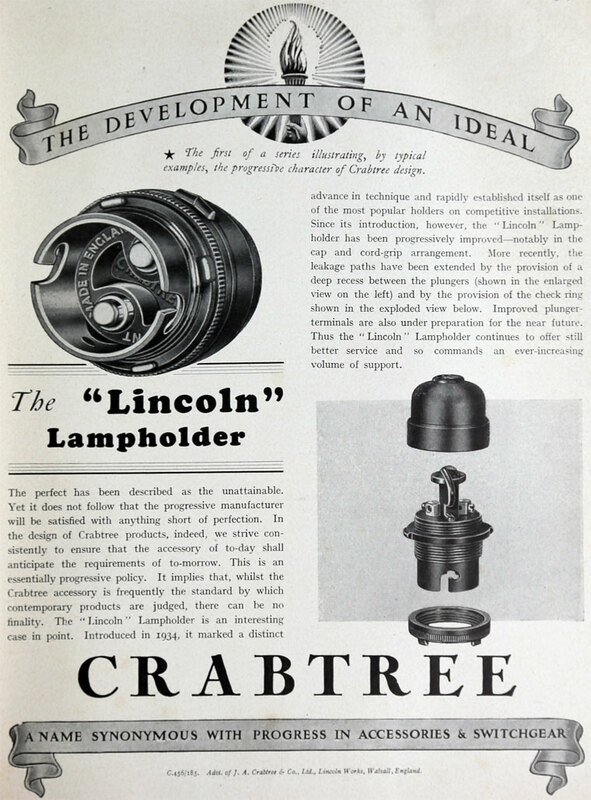 This page was last edited on 21 November 2018, at 17:32.